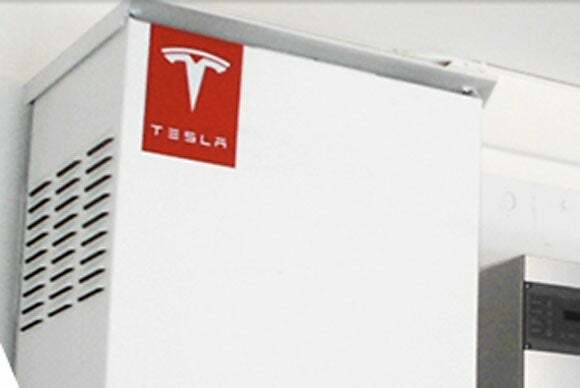 Tesla's crusade against fossil fuels could soon hit home with a battery-powered energy pack. The company plans to start producing a home battery within six months, Bloomberg reports, and will reveal more details in the next month or two. One obvious application would be a source for backup power, replacing conventional fuel-powered generators. The upcoming Toyota Mirai hydrogen-powered car can also function as a backup power source for a house. But the Tesla pack could also help shift energy usage to reduce peak demand on the electric grid, thereby cutting down on energy bills. In an earnings call, Tesla Chief Technology Officer JB Straubel hinted at strong interest from utility companies for that very reason. Potentially, homes with renewable energy sources such as solar panels could also power the pack, allowing users to wean or remove themselves from the electric grid. The story behind the story: While Tesla is often thought of as an automobile company, its battery business is arguably just as important. The company is building a factory for lithium-ion batteries that promises to bring down costs considerably through mass production, so it makes sense for Tesla to think of more uses beyond luxury electric cars. If all goes to plan, owning a battery pack big enough to power a home won't have to be exclusive to ultra-wealthy environmentalists.